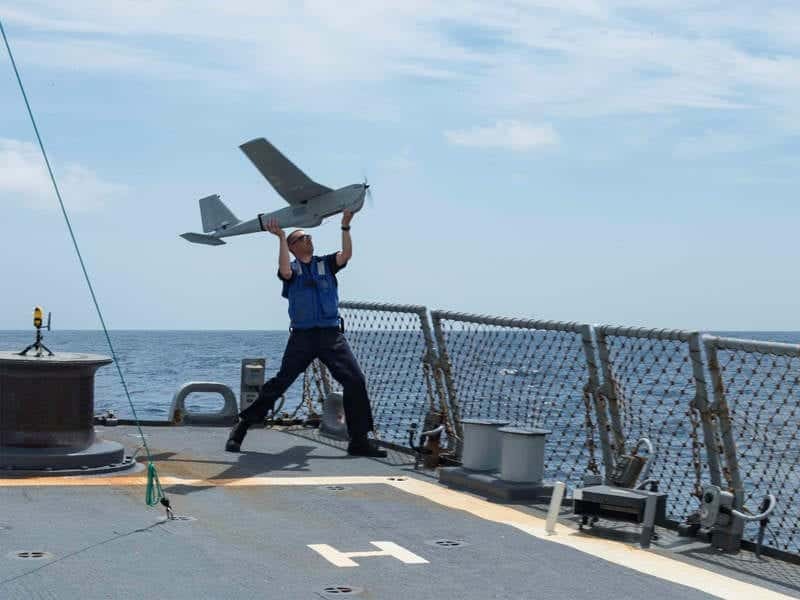 AeroVironment has announced the availability of a new 360 Multi-Sector Antenna (MSA) for its Puma AE small unmanned aircraft systems (UAS). Specifically designed to support Puma AE maritime missions, the 360 MSA provides naval operators with immediate tactical situational awareness, while eliminating the need to redirect the vessel or reconfigure the direction of an antenna to maintain an effective communication link. Featuring an integrated array of 24 high-gain auto-selective antennas, the new 360 MSA analyzes downlink data quality and automatically switches between antenna patches with greater margin to deliver 360-degree continuous command and control coverage within a 20km nominal range. Commanding Officers (COs) can maintain complete control of the Puma AE aircraft and payload with the 360 MSA and access real time, decision critical ISR information. Additionally, it enables the bridge and combat team with mission planning, real time moving map, high resolution imagery, and contact status capability. AeroVironment’s new 360 Multi-Sector Antenna (MSA) joins the company’s previously announced Long Range Tracking Antenna (LRTA) to provide operators with immediate tactical Intelligence, Surveillance, and Reconnaissance (ISR) capabilities anytime, anywhere. LRTA’s 360-degree auto-tracking function enables land-based operators to expand the command and control range of Puma AE to approximately 60km, providing critical ISR data while being positioned further away from dangerous areas of interest. The LRTA features an automated two-axis positioner tracking function that ensures a secure and reliable link with Puma while it operates at extended ranges. This antenna gives Puma 3 AE’s Mantis i45 EO/IR gimbal capabilities similar to larger and costlier Group 2 or higher UAS. The new 360 Multi-Sector Antenna (MSA) is currently available in M3/4/6 DDL operating bands.